Companies are in the business to earn money. 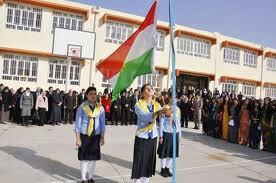 Yet, they also need to spend money on the development of the Kurdish society. This may seem like opposites, but the reality is that companies will be able to make more profit if they re-invest some of it into the society. Take from the society, and give some back to it. In the world of international companies, corporate social responsibility is very much part of business policies. Banks and companies support sports, arts or good works, and they want the world to know about it. They publish about it on their websites, communicate through the press and even mention it in ads. They are proud to show what they are giving back to the society. For Kurdistan this is new, and yet it is not. Traditionally, wealthy business men put money into the building of mosques that bear their names. Most of the cost of the building is deducted from their income tax, while at the same time the believer has earned points in the Islamic system, as the prophet Mohamed advocated this practice. Yet for the society, it would be more profitable if the business men also put their money into building schools, knowing that traditionally mosques were also the place where children would get their basic education. With the help of these rich Kurds, the shortage of schools – which has lead to schools with three shifts of students that will only get around three hours of education each per day – could be solved. Some business men have a private system, in which they support individuals. Students that need support, sick people that need hospital treatment, families that need support after the father has died – they can benefit from the big heart of the businessman who opens his drawer to dish out the cash needed. The problem is that every now and again one of those beneficiaries is cheating and receives money on made up cases which is used for holidays and such. Yet this shows that corporate social responsibility already exists in Iraqi Kurdistan. And even more it shows the need for a system to be able to work well, for the beneficiaries as well as the company involved. This can be, as business men like to call it, a ‘win-win’ situation – meaning: everybody wins. When companies set apart a portion of their earnings for the funding of projects that serve the community, they should use part of this money to set up an internal system to decide who is funded and to check what happens with the money. After all, money spent should be treated with the same business attitude as money earned. Only if it reaches the right people and places, it can be considered well spent. Very important is that a company should decide which could be a good cause to support – a cause that fits the company or the company culture. A building company might want to support the arts – with a slogan like ‘building the Kurdish arts’. A company that imports medicine may want to support the education of young doctors from poor families – ‘Educating the next generation of our doctors’. An oil company may choose to support the sports – ‘Working for Kurdish medals’. We put these slogans there for a reason. Part of corporate social responsibility is to show what exactly you have done for the community. In the West the year report is the place for this – here in Kurdistan I suggest companies use the press and advertisements to communicate their good deeds. Why is this important? Because it makes them appear more respectable to the public. The public needs their products, and chooses often for emotional reasons. Does Asiacell support my niece – how ever indirectly – then I will use this company for phoning and internet. Does Western Zagros help NGO’s that try to save Kurdistan’s nature from getting bugged up with plastic bags and bottles – then perhaps I should buy their product. Step into a taxi in Kurdistan and you will hear about all those people who got rich over the backs of the Kurds who fought for their country. Step into a chaixana and hear the same complaints. Companies can earn respect, and thus customers, by giving some of their wealth back to the people. It is needed badly, with foreign funding drying up and government funding not always available. And from the perspective of both their business plans and the well being of the community, it is also expected. Judit Neurink is journalist/author and director of the Independent Media Centre in Kurdistan. Kurdistan Daloye is a legal and business consultant. They are willing to help any company in Kurdistan to institutionalize this concept into their policy and working plans.